WordPress is very convenient to create websites of any kind – professional online presences, editorial related websites, magazines or newspapers as well as websites for communities like those of churches, non-profit organizations or charity purposes. 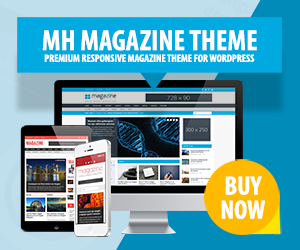 Thanks to the many different themes available for WordPress, you’ll surely find a suitable WordPress theme to meet your requirements. For particular niches and topics like church, charity, non-profit organizations or else, there are WordPress themes specialized in that niche. If you plan to create websites for churches, related to charity or in case you want to take your current website to the next level, with WordPress you have an intuitive and flexible platform, to do so. Several WordPress theme developers offer a wide range of niche themes for religious or charity related WordPress sites including such useful features as sermon managers, prayer walls, Facebook templates, WooCommerce support or PayPal integration to collect offerings and donations. Most church and charity WordPress themes are easy to customize and intuitive to work with in various ways. Depending on what contents you would like to display for your community, your visitors and readers, ensure to pick a church and charity WordPress theme which suits your needs. To give you a head start, please take a look at our fine collection of advanced and user friendly WordPress themes for churches, charity or non-profit organizations of any kind. House of Worship Church WordPress Theme is a beautiful church WP template for religious communities, sermons, preachers or else. This theme is fully responsive and provides nice features to customize and modify your online presence. Thanks to a bunch of good-working plugins, you are able to display sermons or preachers via audio, video or PDF….